Individually wrapped in heat-sealed bags, these delicious and beautiful wedding fortune cookies make great guest favors for weddings and bridal showers. 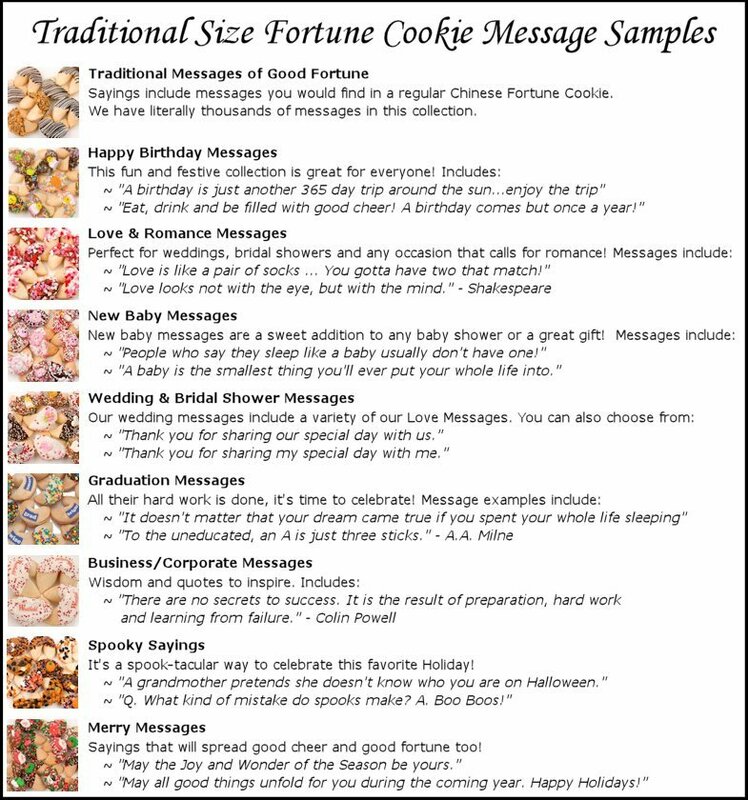 Each cookie holds a wedding themed fortune with sayings like "And they lived happily ever after" and "Love is the irresistible desire to be loved irresistibly". Our fortune cookies are baked with all natural ingredients and then meticulously hand-dipped in various Belgian chocolates (white, milk and dark) or rich caramel. 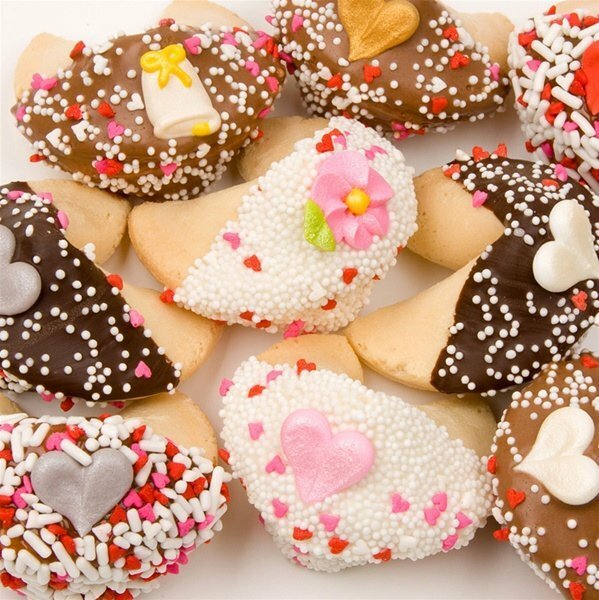 You will receive an assortment of dipped cookies that will be decorated with hand-crafted wedding decorations made from royal icing along with candy sprinkles. Decorations include things like flowers, hearts, wedding bells and more. 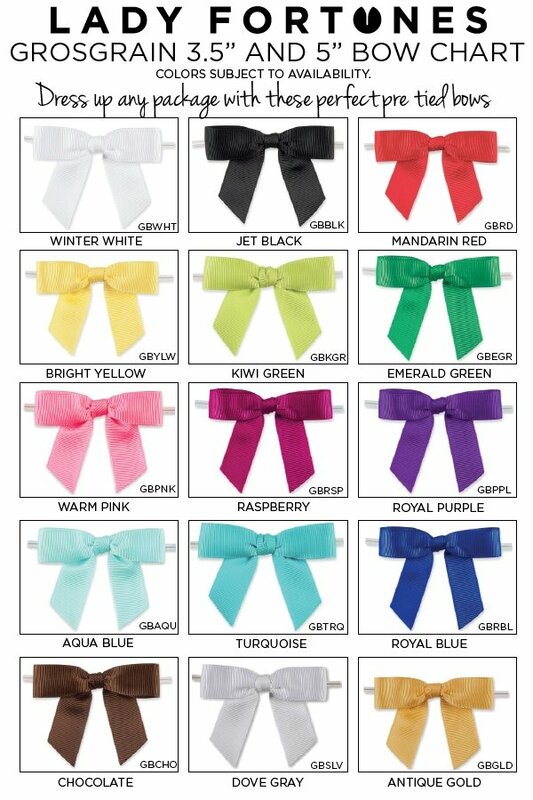 Minimum order quantity is 12. 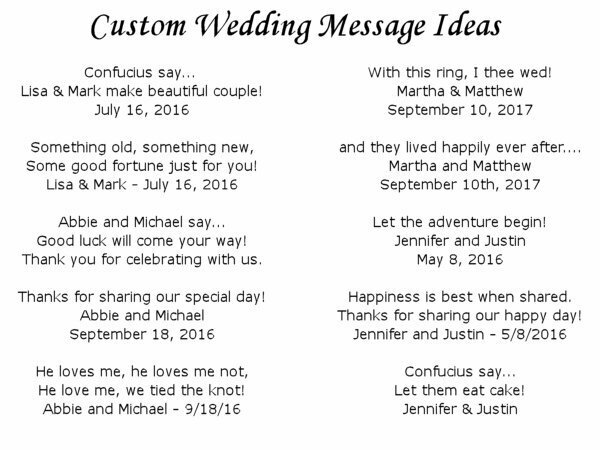 Once we receive this item, Wedding Fortune Cookies, how long are they good for? Just trying to determine the best date to order them. Our fortune cookies have a shelf life of 6 - 9 months once received.